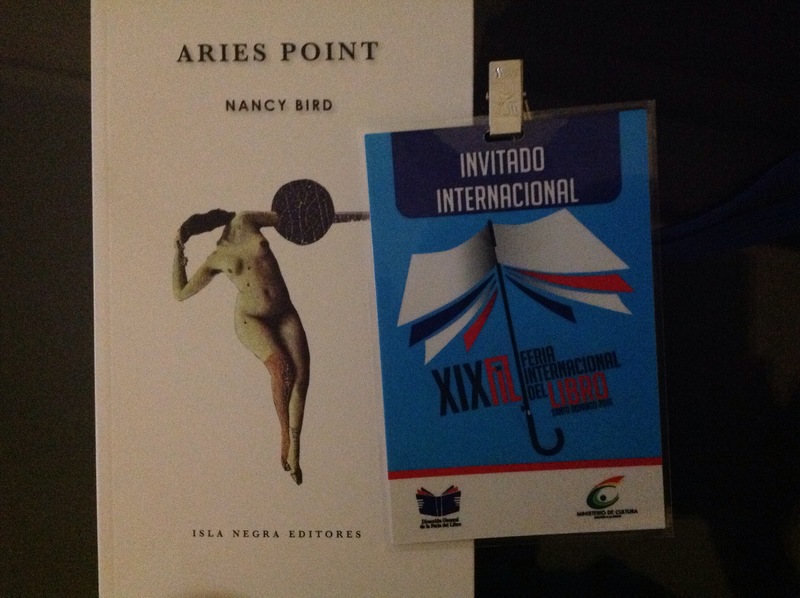 Aries Point has brought me to the International Book Fair in the Dominican Republic and I am delighted to be back in Santo Domingo. But first, the adventure to get here. I was supposed to arrive on Wednesday night, but due to a maintenance issue with the plane, my flight from Chicago to Mami got delayed and made me miss my connection. I was rebooked for a flight out of Miami the next morning. Unless that flight ended up being delayed, I should still arrive on time. So, after a long day on Wednesday, including an early morning bus ride from Milwaukee to O’Hare, 6.5 hours at O’Hare, American Airlines out me up at the Clarion Miami Airport hotel with a couple of meal vouchers. The next morning, I used the breakfast voucher at La Carreta for a couple of delicious Spinach empanadas befor my flight to Santo Domingo. The flight was in time and landed right by 12:30pm–a memorable approach with the plane about to land while seeing the rich blue texture of the Caribbean right below us before touchdown. Immigration and customs was rather expeditious and upon exiting, it was easy to spot the FIL-RD staff/aids with whom I would be getting a ride to the hotel. I checked in by 2:30 pm, just in time to drop off my bags, freshen up, and walk down the street to the Feria. And yes, I made it to the initial Isla Negra event, which started at 3pm. Later, I presented Aries Point, and a bit later, that same evening of September 29, 2016, I made the introductory remarks for Rebeca Castellanos’s poetry book, Los instruments del gozo. Pretty cool for being so close to a new moon, right?